Please complete the form below and your enquiry will be sent directly to Cape Agulhas Classic MTB Race & Trail Run via email. Your enquiry has been sent to Cape Agulhas Classic MTB Race & Trail Run. The Southernmost MTB Race & Trail Run in Africa! 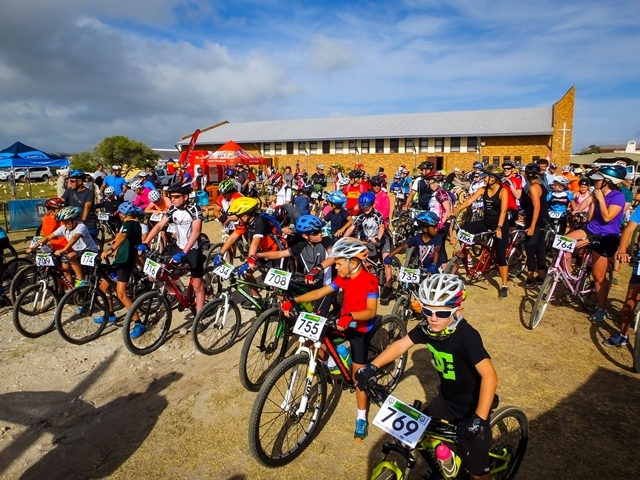 On December 22nd, you can enjoy this region on your mountain bike during the CAPE AGULHAS MTB CLASSIC, the main event of the week, and also sign up for a very nice family holiday run just before sunset on the 21st of December. 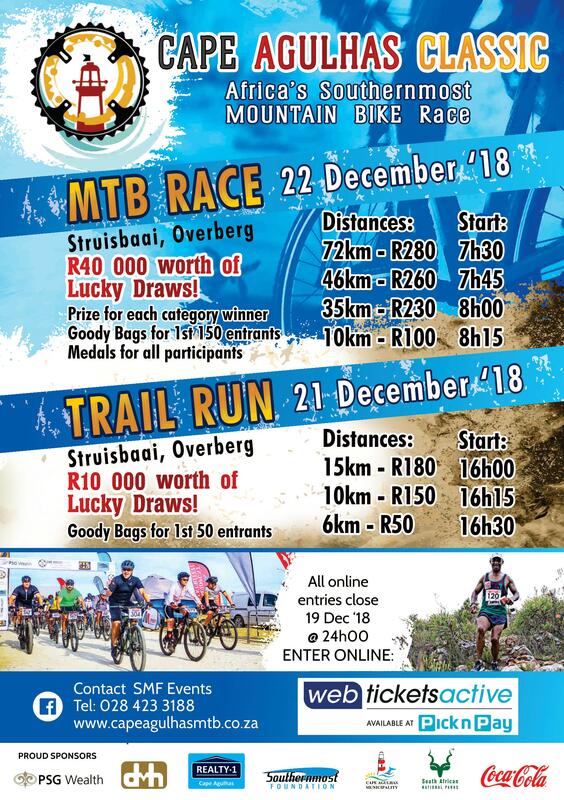 For the MTB you will have four distances on offer whilst the run will have a 6km, 10km & 15km option with the routes crossing various terrain of tar and off-road trails. What a fabulous time of fun for the whole family to enjoy during the holiday season!